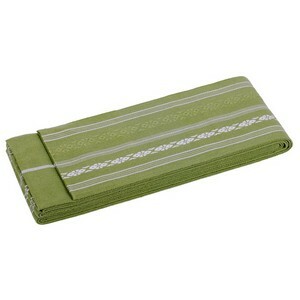 A green cotton obi belt wth a traditional white line pattern. This pattern, known as kenjo-gara, has its origins in traditional Buddhism. Made in Japan.